It is still in the depths of Summer here in Texas, but we are getting anxious to get the trailer out of storage for a brief change of scenery. Unfortunately, cooler weather is farther than we have time to get to now. 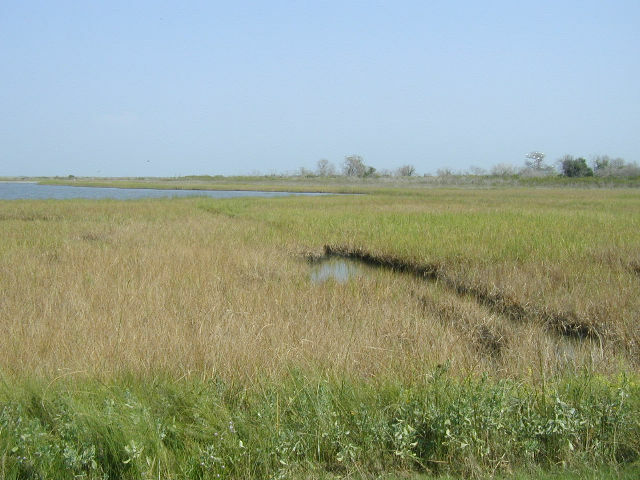 We can reduce it by about 5 degrees by taking Highway 6 south and taking camp in Galveston. Surrounded by water, at the expense of the humidity, we can at least get a look at something besides our heat-baked yard. Fortunately, by mid week a very unusual late-August Cool Front came through and lowered the humidity. That made things really nice. [Monday] August 23rd we left home about 9:30 am, and drove down TX-6 south from Richmond. 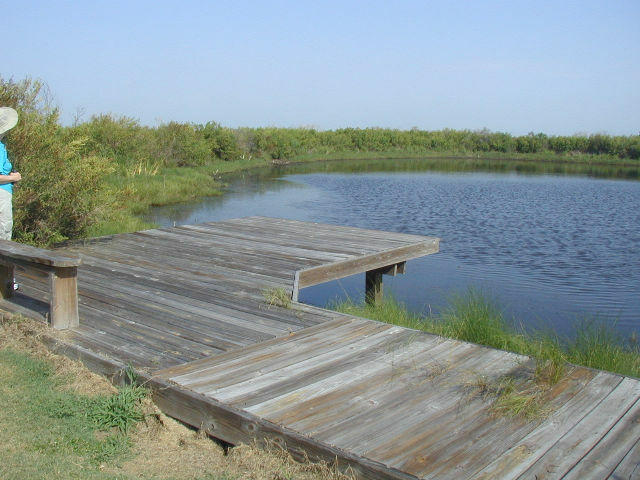 We set up camp at a RV park we stayed in back in 2000, Bayou Shores RV Resort off 61st Street. It is on the south side a a bay and gives a good view of boats and birds. We stayed in site C10. We arrived just in time for lunch. After a nice light lunch we relaxed in the trailer and the A/C did it's job to cool it down some. After our evening meal, we drove down to the Strand and checked to see how many of the businesses were in operation after Hurricane Ike. Most appear to be back like before. We drove up the East beach and then down Seawall Blvd. to 61st Street, then back to the park around sundown. The city seems to be recovering from the devastating flood of 2008. < Our campsite at Bayou Shores RV Park. 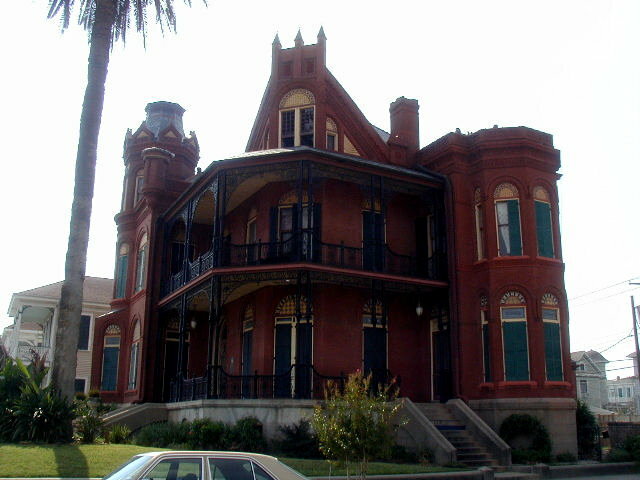 [Tuesday] After breakfast we drove west on FM-3005 to Galveston Island State Park. Located on over 2,000 acres stretching across the island from shore-to-shore, it is representative of all the vegetation native to the island. 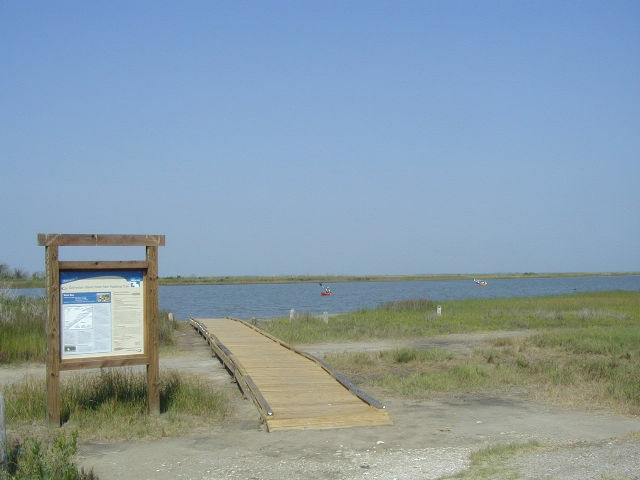 After checking in at the headquarters (a temporary building since Hurricane Ike), we drove around the park and took a short hike on the Duck Lake Trail. We then went down to the Gulf of Mexico beachside of the park and took a short walk on the beach. It was very hot and we decided that this would be an appropriate place to be in the Spring or Fall, but not in August. < Along Duck Lake trail. < Kayakers returning on a paddle trail. < Looking toward the bayside of the island. 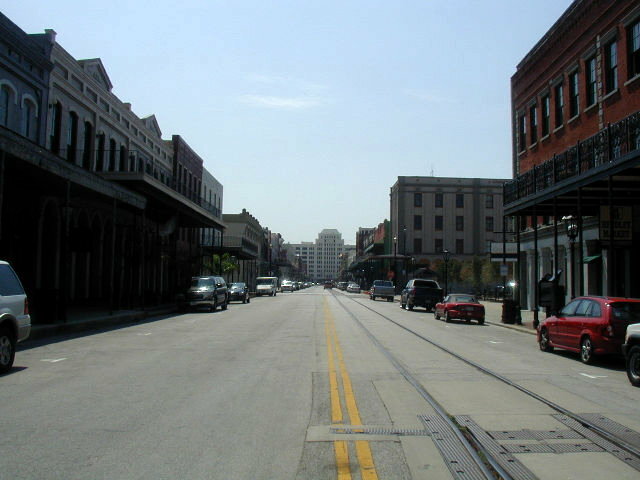 After lunch we drove to the Strand area of Galveston and walked around looking in some of the interesting shops along the way. < Along the Strand. 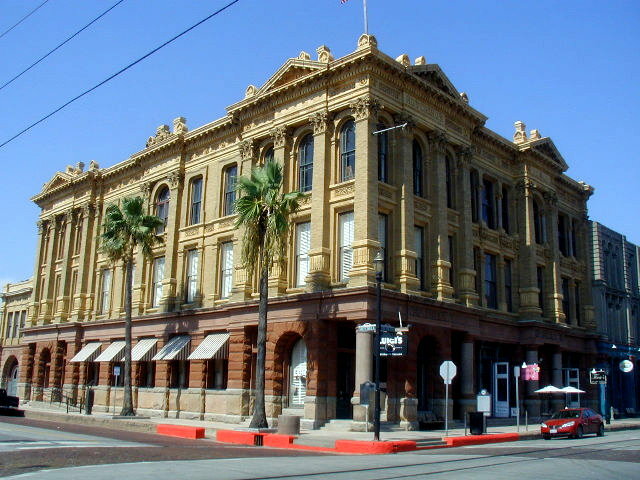 < Hutchins Sealy building on the Strand. 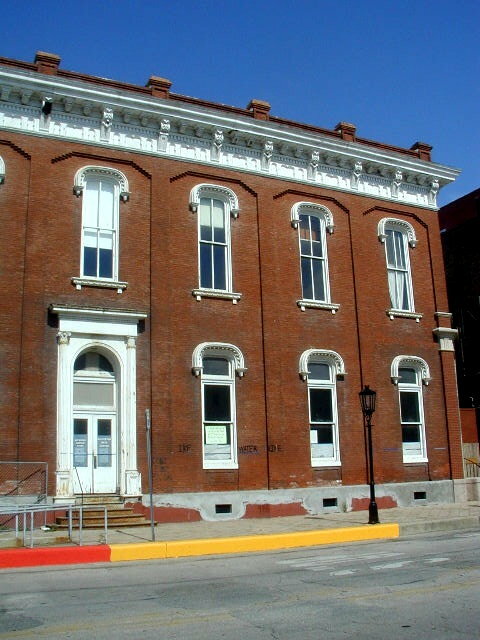 < Old building with Ike water level marked on the side about 2 feet above the window seal. [Wednesday] We stayed around the trailer until our friends, Pat & Annette, came from Katy and we had a light lunch at the trailer. After lunch, we took the Bolivar Ferry and went over to the Bolivar Peninsula and drove up the beach highway to High Island. The houses were being replaced from Hurricane Ike at a reasonable pace. They seem to be building them higher and with more substantial piers than before the storm. 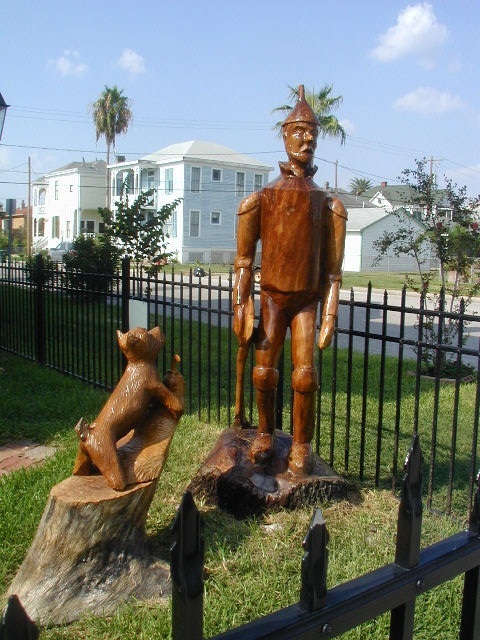 After returning to Galveston, we drove around to see the dead trees from Hurricane Ike that have been carved into various art figures. We then enjoyed some Chinese food at a nearby restaurant. 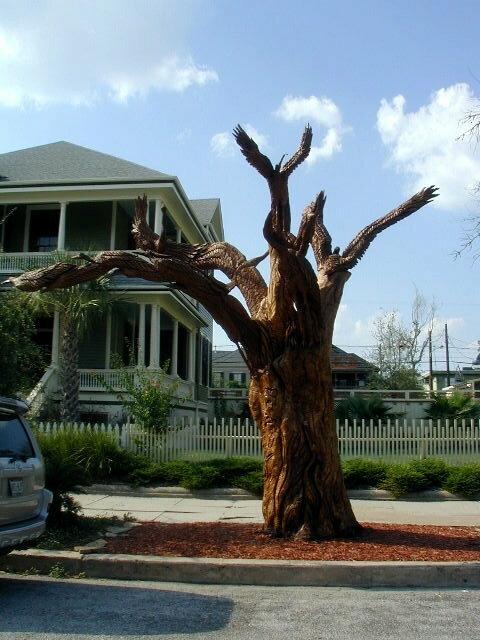 < Hurricane Ike tree carvings. < Interesting old home at 16th & Post Office St.
[Thursday] We stayed at the trailer in the morning and after lunch we drove to the Strand to shop at some Antique shops. 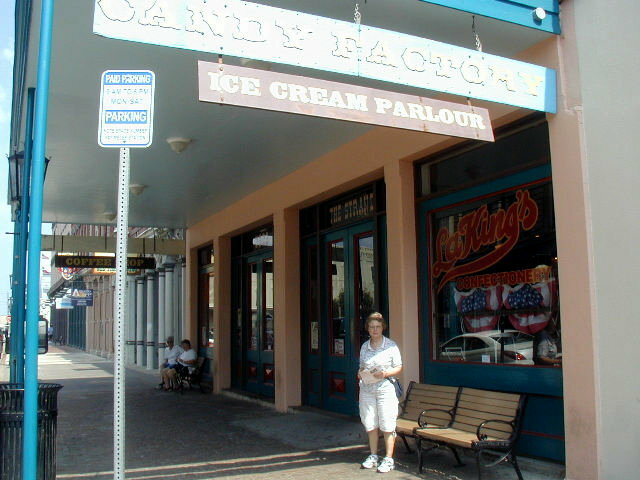 Along the way, we stopped at LaKing's and blew some calories on ice cream cones, but they were delicious. On the way home, we looked at some of the old homes and the tree carvings again. 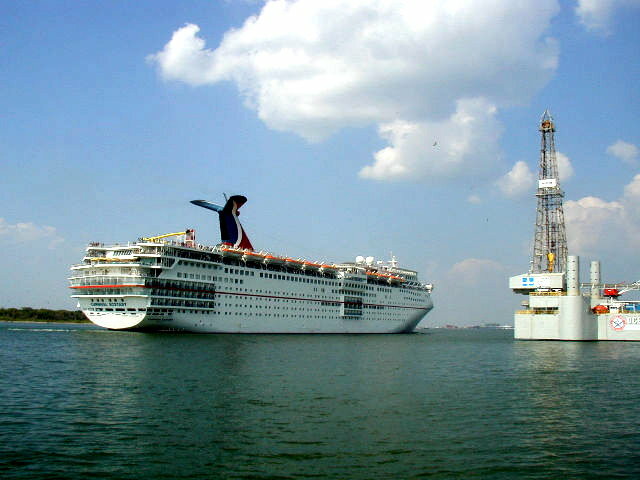 < Carnival Ecstasy leaves the Port of Galveston. 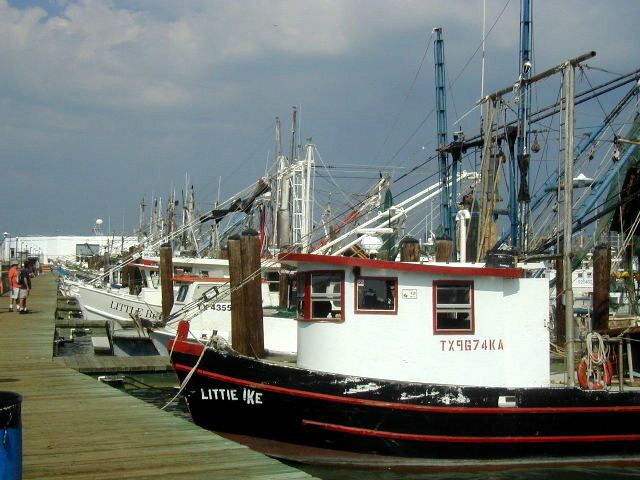 < Fishing boats. [Friday] We packed up and made our way back up TX-6 to Richmond, arriving at lunch. This draws to a close our visit to Galveston. We hope you enjoyed the photos and brief descriptions of our activities. God willing, join us again soon for another RV adventure.